MHC class I polypeptide-related sequence A (MICA) belongs to the MHC class I family and MIC subfamily. 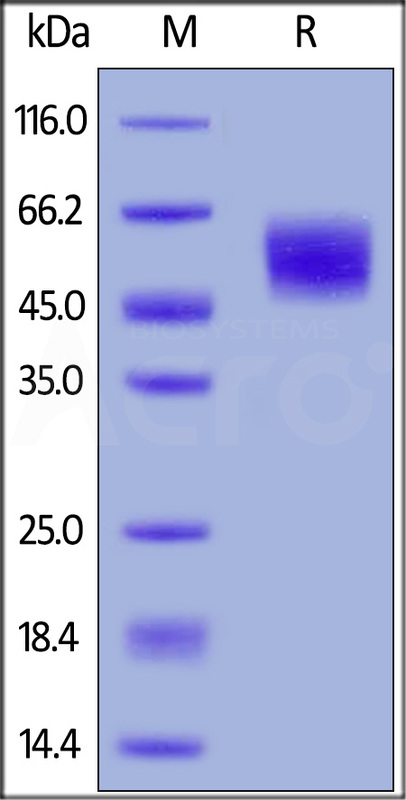 MICA contains one Ig-like C1-type (immunoglobulin-like) domain. Unlike classical MHC class I molecules, MICA does not form a heterodimer with beta-2-microglobulin. MICA acts as a stress-induced self-antigen that is recognized by gamma delta T-cells. MICA is ligand for the KLRK1/NKG2D receptor. MICA bind to KLRK1 leads to cell lysis. Groh V., et al., 1998, Science 279:1737-1740. Bauer S., et al., 1999, Science 285:727-729. Steinle A., et al., 2001, Immunogenetics 53:279-287.